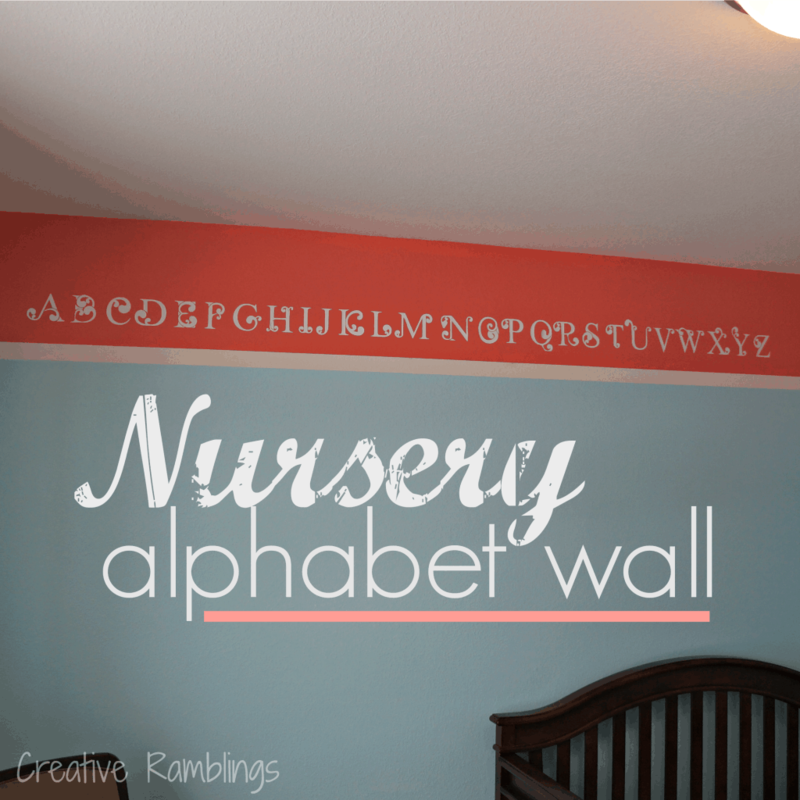 I shared with you last week how we painted and added a stripe to our very textured walls in baby girl’s nursery. I knew I wanted to do something on the wall above baby’s crib but was going back and forth on what. 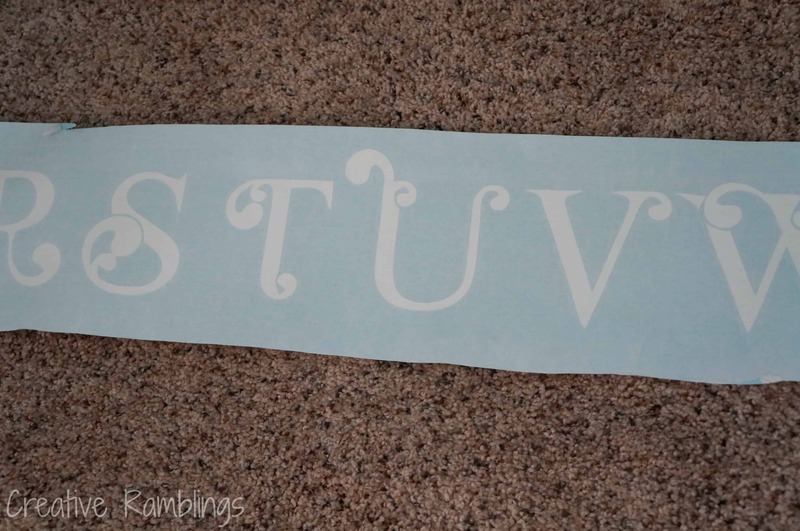 Then it fell in my lap, I won the wall sticker of my choice from Icon Wall Stickers in a giveaway hosted by Made to be a Momma. Perfect! I was so happy to be able to pick out the size and color that worked for her room, such a nice surprise. These types of decals are not meant for very textured walls, but so far so good. I know they would adhere better to a smooth surface but overall I am very pleased with their stickiness. 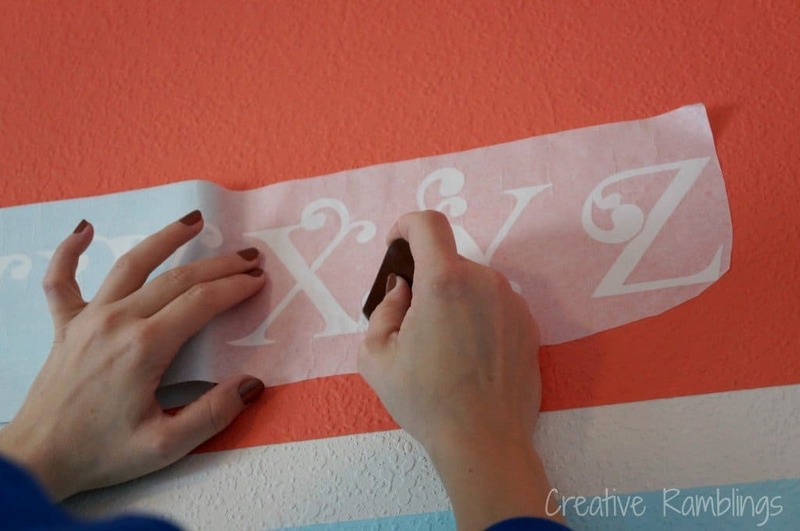 The alphabet came on a roll, so all we had to do was center the long strip and pull off the backing. It was so nice not to have to line up and level each individual letter. Once the strip was loosely adhered to the wall my Mom and I each took an end and slowly peeled off the backing while smoothing out the bubbles both over the backing and directly on the letters. We used Pampered Chef scrapers, but a credit card would work as well. I love how this turned out, just a little something above baby girl’s crib. There are more intricate decorations on the other walls that I will show you soon so this needed to be subtle. Want to see more baby projects? 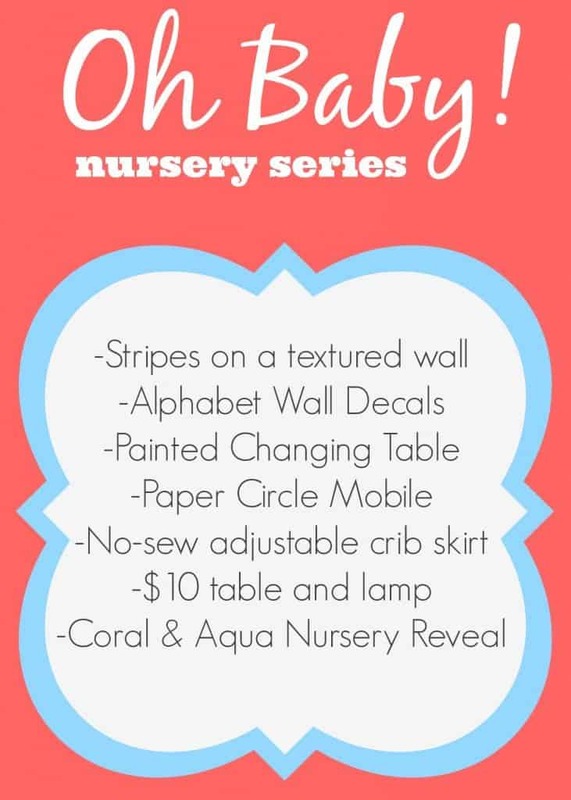 Click on the picture below to see all the projects in baby’s nursery. I love tip #1. ALWAYS enlist the help of mothers whenever possible! 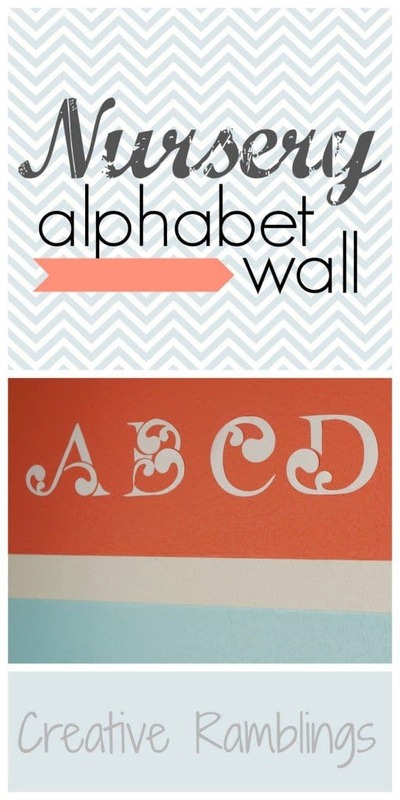 This will be a great way to teach the alphabet in the years to come! Aren’t Moms the best 🙂 Thanks Carrie. Thanks Kathryn, I will stop over and check it out. 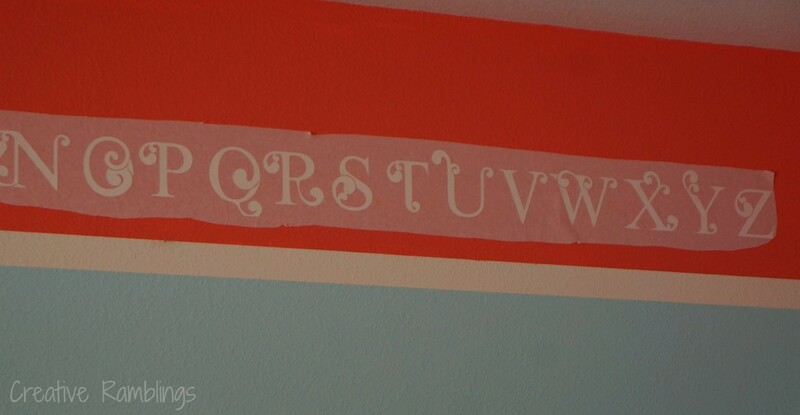 Those fonts are just perfect for a baby’s room. I really like your choice of paint colours too, not the typical pink or blue. Visiting via “OneKriegerChick” linkup. I love it. The font is perfect! Thanks for linking up at Monday Funday! Thanks Katie, I always enjoy your party.